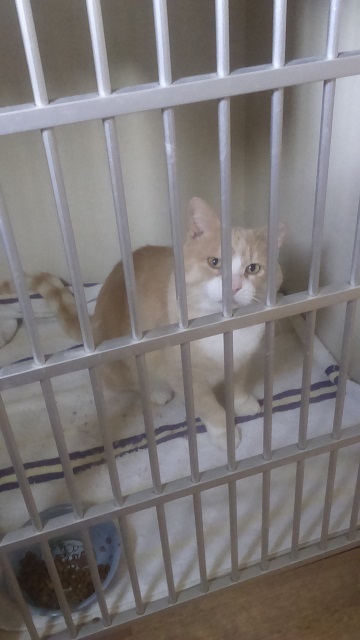 Hero started out as part of the Hamilton Street Cats trap neuter release program. 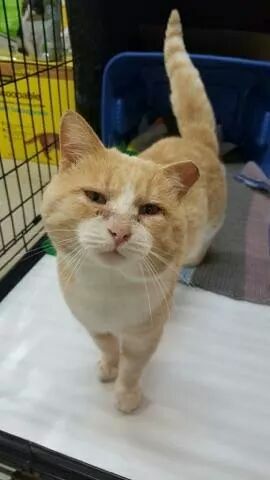 He wasn’t feeling so well but he was so friendly that one of their volunteers asked if they could try and foster him to see if finding a home for him would be possible. It took a few months but after recovering from an upper respiratory infection, growth removal and dental procedure Hero was finally ready to find a forever family. Because we have an adoption program they asked if we could help them out. We of course said yes and even had a great long term client in mind for him right away. This client fell in love and it wa s a match made in heaven. Hero is now known as Sweet Cheeks and has made himself right at home. Congrads Hero.